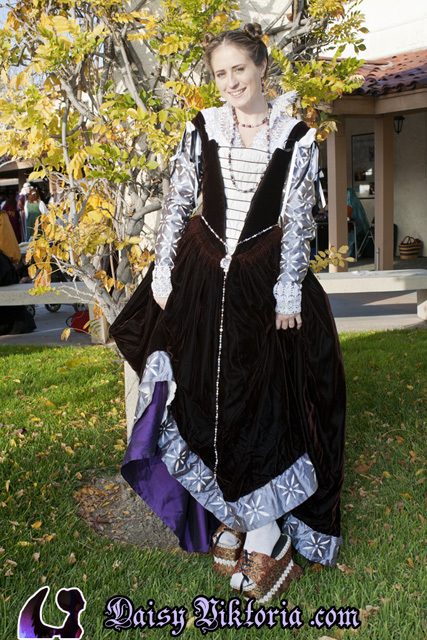 This is based on fashion from late 16th century Venice, 1570s. The chemise, or camicia, is made of white linen. 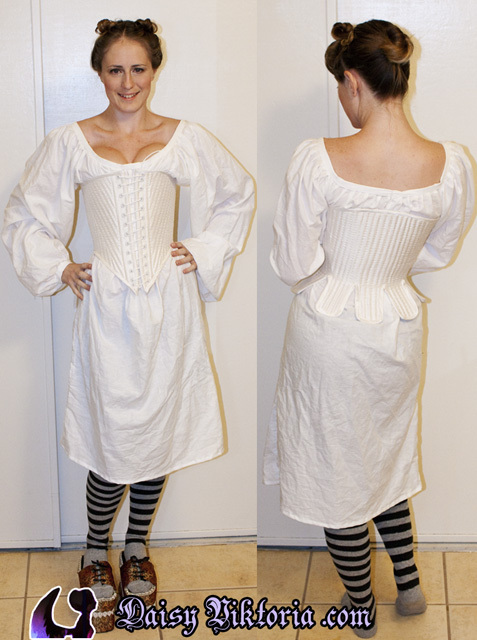 The corset is white silk and fully boned with reed, complete with hand-stitched boning channels. 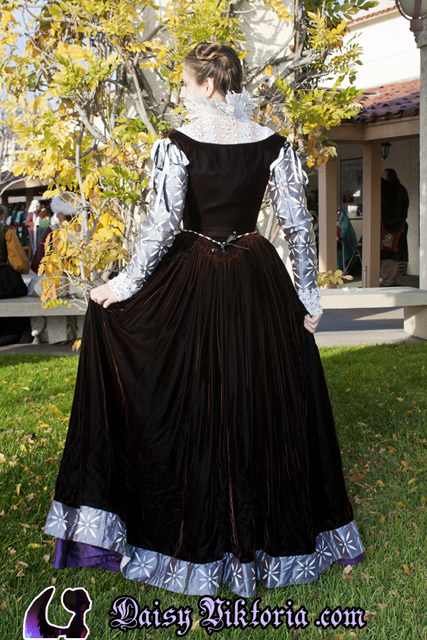 The partlet is white lace in a Venetian style pattern with a stand-up collar around the back. 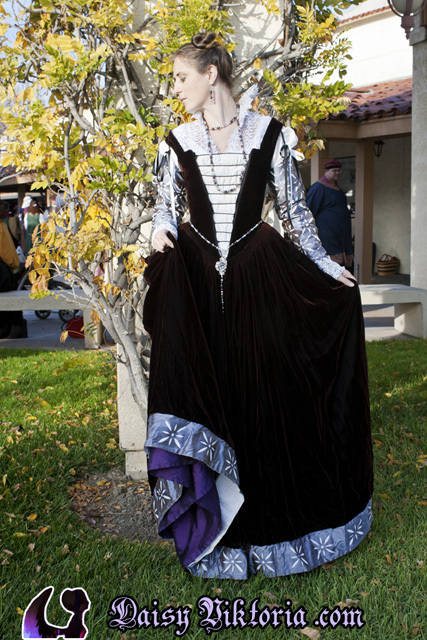 The gown itself is made of burgundy silk/rayon blend velvet with sleeves and contrasting hem made of blue silk dupioni. I did all of the cutwork patterns in the silk by hand. The skirt is cartridge pleated onto the bodice, which laces with Venetian style ladder lacing. The gown is accented with jewelry and a flag fan, also all made by me. In addition, I created chopines, tall platform shoes. 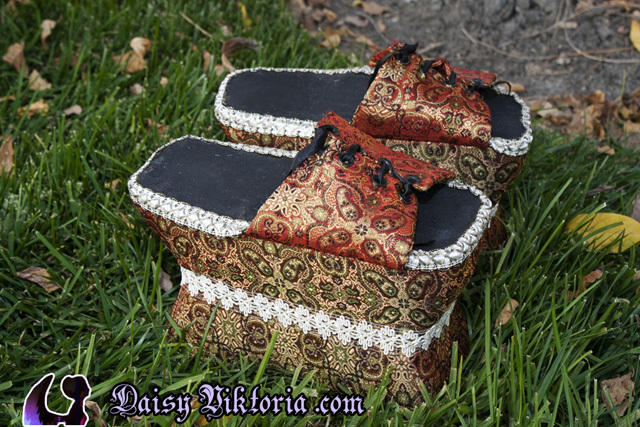 My chopines are made from cork with fabric decoration.